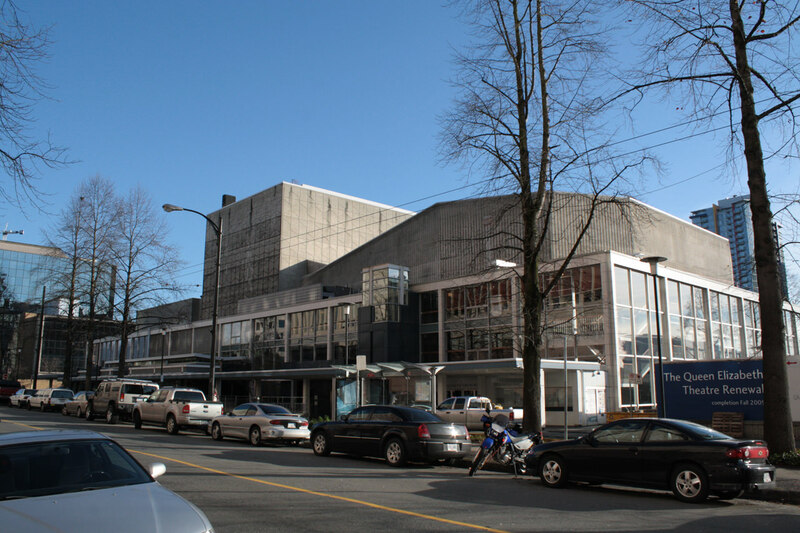 Formerly the home of the Vancouver Symphony Orchestra, which is now based at the Orpheum, the Queen Elizabeth Theatre is the home of the Vancouver Opera and Ballet BC, in addition to hosting various other musical events year-round. 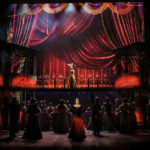 The theatre has a 70′ wide x 40′ deep (21.34m x 12.19m) stage / performing area. 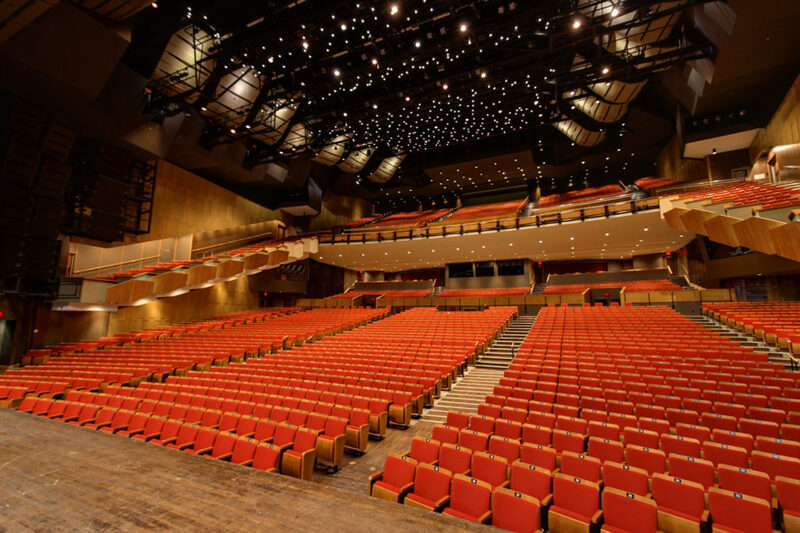 The building holds two venues: the 2,765 seat main auditorium and the 668 seat Playhouse Theatre. The theatre was the first project by the Montreal-based architectural partnership Affleck, Desbarats, Dimakopoulos, Lebensold, Sise. It opened in July, 1959.